Diamond Select Toys at SDCC 2018: DC, Marvel, & More! San Diego Comic-Con is always packed with retailers offering both great exclusives and merchandise previews, and as usual, Diamond Select Toys was one of those retailers at SDCC 2018. 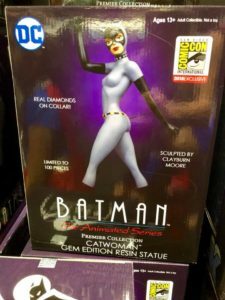 Finally, in addition to an exclusive transluscent ‘cloaked’ version of a Romulan Bird of Prey from Star Trek, Diamond Select Toys offered up what Zach called a “higher end than our normal high end” Gem Edition statue of Catwoman from Batman The Animated Series. 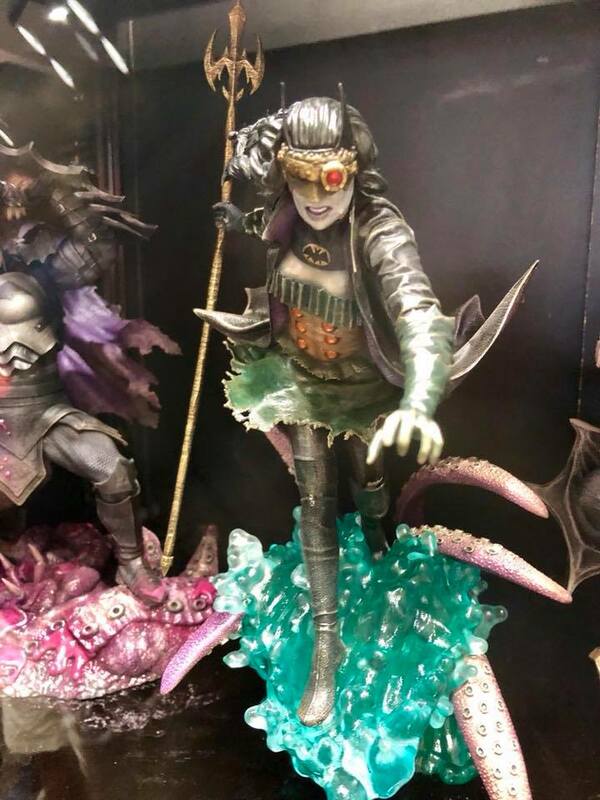 This statue, which was priced at $200, had real diamonds in the collar…and followed up the 2017 Poison Ivy Gem Edition statue (of which they had a few left) and the 2016 Harley Quinn Gem Edition. There were of course plenty of items available for pre-order, and this year Diamond Select Toys had QR codes posted around their booth. Scanning the codes would take you to the proper category on their website, making pre-orders much easier. Other great collectibles that Zach pointed out was a new line, Legends in Three Dimensions. 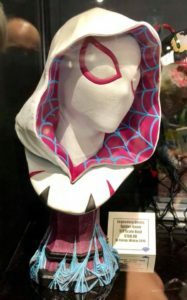 This is an old brand that was inactive; DST recently took it over because they wanted to bring their line of high-end busts back – and it includes one of my personal favorites, Spider-Gwen! Along with this new line, Diamond Select Toys is continuing their Ghostbusters line with new figures from the animated series, as well as series 3 of their Kingdom Hearts figures. They’re also bringing Star Trek collectibles back after a holding pattern in development, and introducing new pieces from John Wick and the original Tron. As always, there were also quite a few new Marvel and DC figures on display. 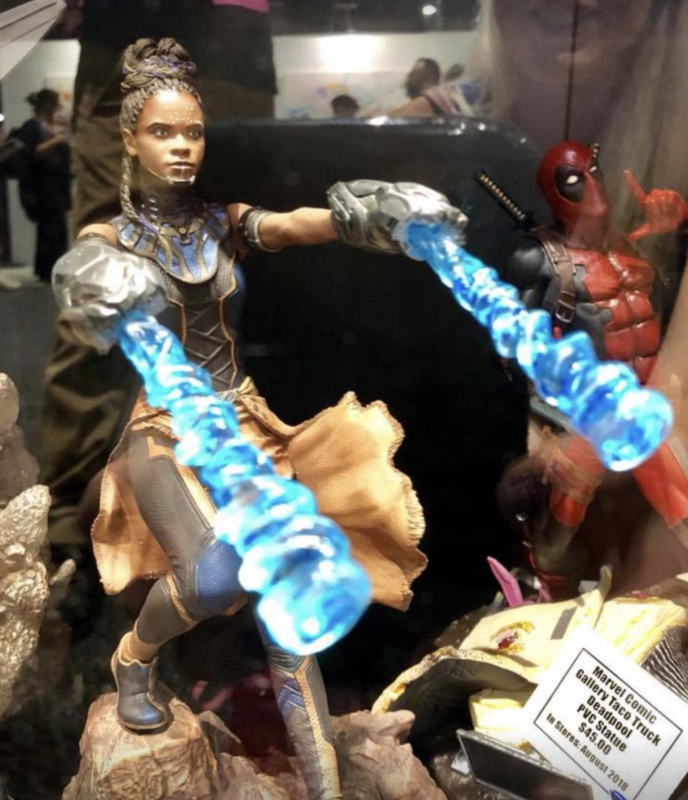 The Marvel line will soon include statues from Ant-Man and The Wasp and Infinity War, including a Shuri statue that I’m dying to get my hands on. DST is also continuing their partnership with Walgreens and have plenty of new Walgreens-exclusive Minimates coming out, including a set from Marvel’s Avengers of 1,000,000 B.C. comics. For DC, there were several new Batman designs from the Dark Multiverse on display, such as “The Drowned” (Batwoman, a.k.a. Bryce Wayne, who fougth against the Atlanteans and even gained powers like breathing underwater and controlling sea creatures), “The Batman Who Laughs” (basically a Jokerized version of Batman), and “The Red Death” (Batman with The Flash’s powers). I have to admit that I’m pretty in love with The Drowned statue, too…and I’m not even much of a DC girl, myself. I highly suggest making your way over to the Diamond Select Toys store to check out what they have available in stock and for pre-orders – I own several of their collectibles and they’re great display pieces! 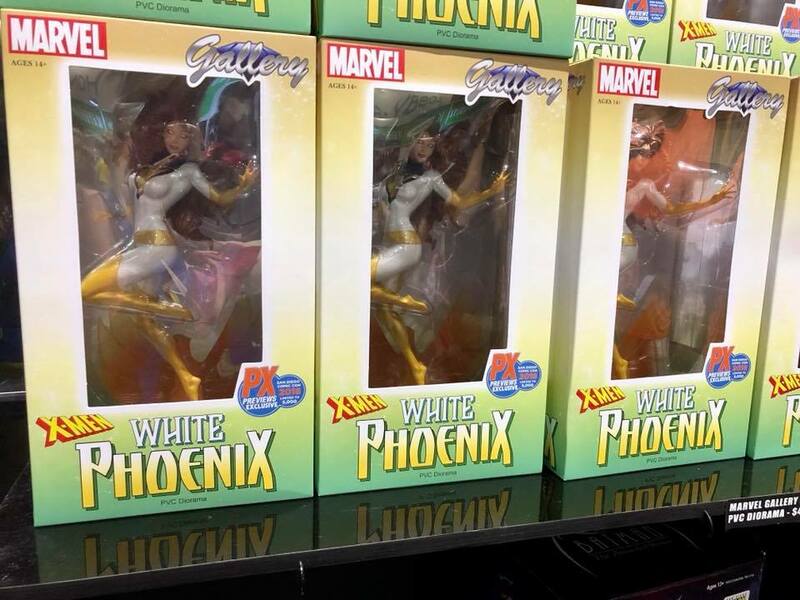 Did you come across any great SDCC 2018 exclusives? Let us know in the comments!